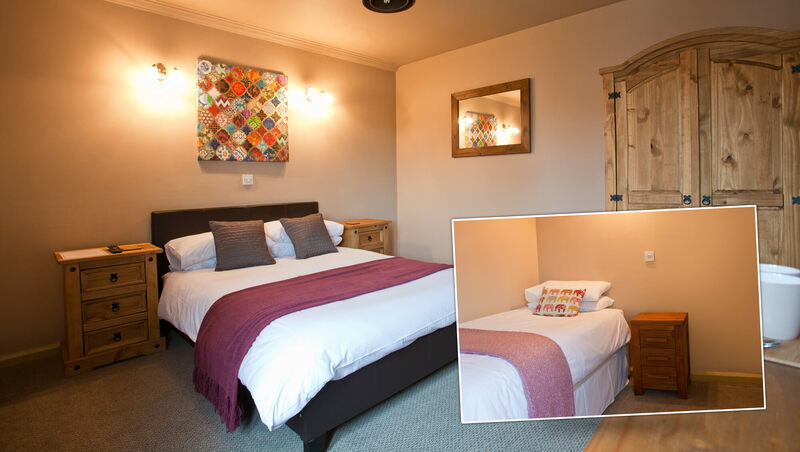 All have en-suite bathrooms with WC, shower, heated towel rails, flat screen Freeview TV, WI-FI access, complimentary tea, coffee and biscuits. We provide the most comfortable mattresses and towels in order to make your stay with us the best it could be. Breakfast is included in the room rate. 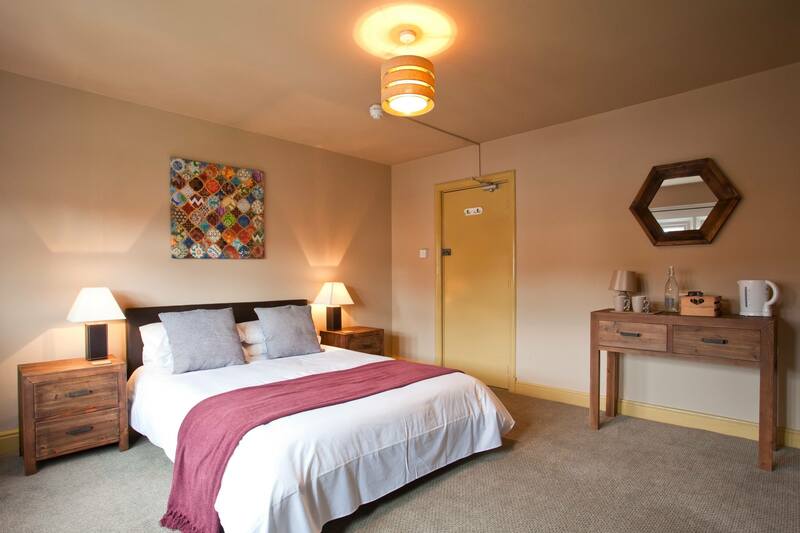 We have a selection of rooms to suit your requirements. All prices are per room per night. 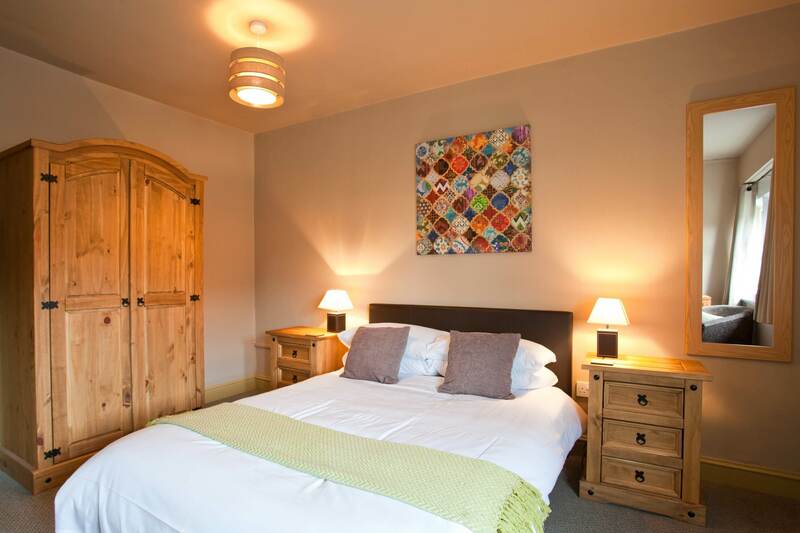 A double or twin room, this is one of our quieter rooms. 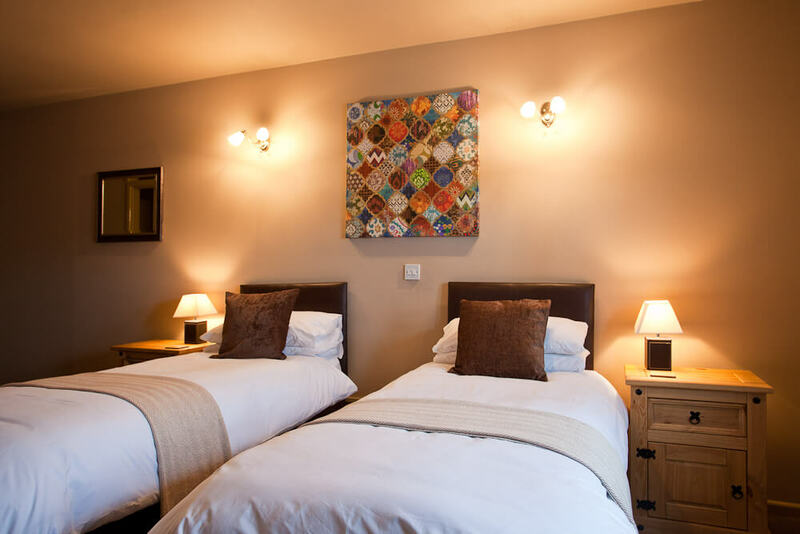 A double room, it is located above our dining room this is one of our quieter rooms. A double room with a fabulous view of Chosen Hill. Our most spacious King Size room with a fabulous view of Chosen Hill. We always welcome you to stay with us, we will make sure your time at our lovely inn is as it should be. Checking In and Out – Check in from 2pm, check out by 11am. Visiting for a wedding party or special event and need to check in earlier? Please let us know at time of booking and we will do our best to accommodate you. Breakfast – Individual times are booked upon arrival to suit each of our guests. Special Requests – We can provide flowers, wine, champagne or chocolates upon arrival – please arrange at time of booking. Morning newspapers can be delivered to your room for a small charge. Breakfast times are booked upon arrival to suit our guests. Assistance and guide dogs are permitted.